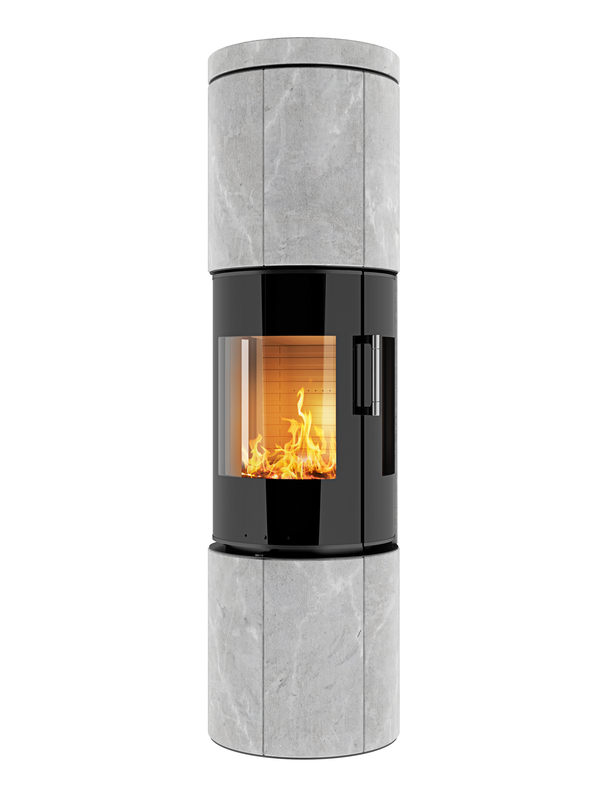 RAIS Juno soapstone is characterized by a unique sculptural and slim design and demonstrates s supreme heat accumulation. The 255 Kilos of stone keeps the firing heat which means that the stove is still giving off approximately 60 degrees of heat the following morning. So this modern stove supplies convective heat and operates according to the mass stove principle. Its tastefully rounded, light natural stones constitute a beautiful contrast to the fire and the bright glass and steel. The pure elegance of this stove gives it impressive simplicity. 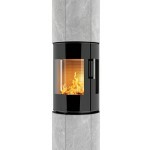 It is available with a rotary base3 for optimal use of the beautiful view of the fire in a cosy atmosphere.